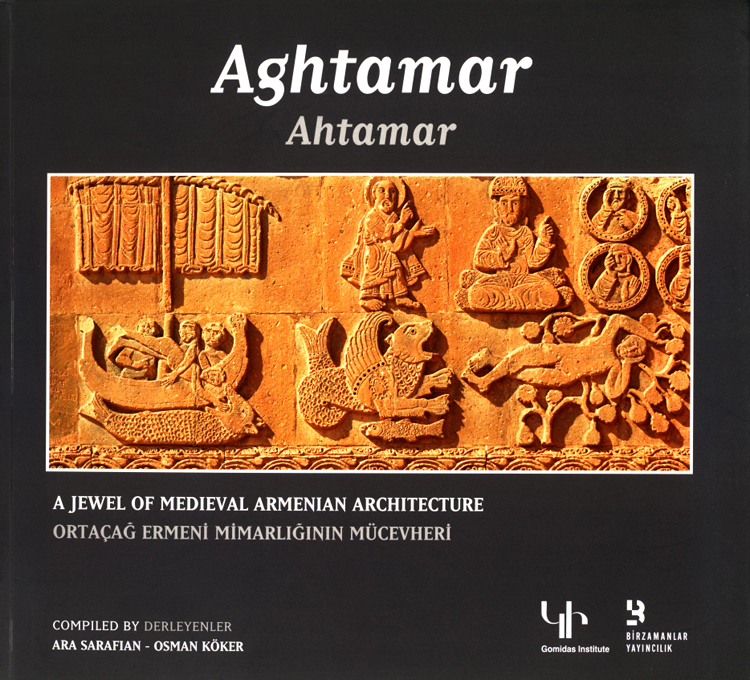 Aghtamar: A Jewel of Medieval Armenian Architecture is a bilingual (English/Turkish) volume that explains the fascinating history of the Church of the Holy Cross (Sourp Khatch) on the island of Aghtamar in the middle of Lake Van. It includes invaluable architectural drawings and color photographs that allow readers to follow the complex sculptural narratives that adorn the church's facade. Based on a variety of sources from the tenth to the twentieth centuries, Aghtamar describes the unique sculptural designs that depict biblical and secular themes. These sources include Tovma Ardzruni (10th century), Tovma Continautus (14th century), I.A. Orbeli (1912), E. Lalavan (1910-1916), W. Bachman, I. Strzygowski, Sirapie der Nersessian, Lydia Durnovo and M.S. Ipsiroglu.